Single creatures are usually regarded as individuals possessing unity over time and having the capacity for change. However, how can they possess unity if they change? This ontological question has been discussed since Antiquity. 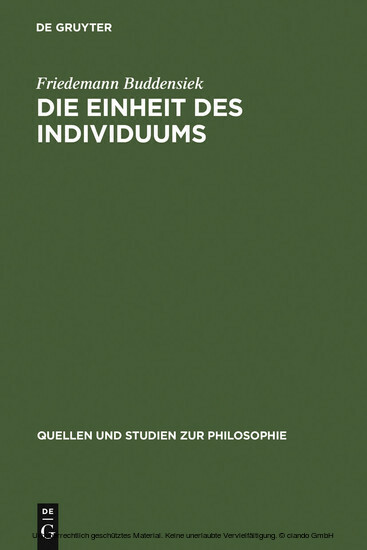 Friedemann Buddensiek responds to it with the thesis that individuals are functional structures. The parts of such a – possibly changing – structure are what forms the structure and contributes to its independence through the interaction and co-operation with other parts. The unity of the individual lies in the coherence of the structure.